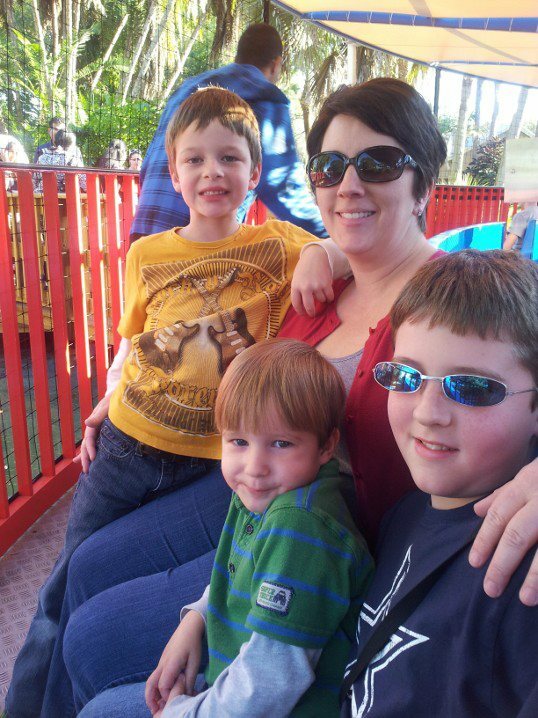 Yesterday we took the boys to the new Legoland Florida theme park. The boys had an amazing day, judging by their smiles, laughter and my over-exuberant uploading of photos to Facebook. Carla and I couldn’t help but reflect on our two previous visits to that property, each in a very different set of circumstances. Before it was Legoland, the 150-acre site was Cypress Gardens, one of Florida’s first theme parks, built around the natural beauty of Lake Eloise, meticulous and exotic gardening and incredible feats of skill on water skis. I moved to central Florida at the age of 12, and had been to the park numerous times before Carla and I visited in 1996 while we were still dating. Carla was down to meet my family for the first time and see what many tourists spend thousands of dollars during vacations to experience. During that trip we visited the Magic Kingdom, which stood in stark contrast to the aging and low-key Cypress Gardens. Leisurely strolling through the gardens hand-in-hand was a welcomed change of pace from the crowds at Disney, but other than dozens of photos of each other in front of various plants, waterfalls and other natural phenomena, there wasn’t much that was memorable from the trip. The next time we visited, it was about 10 years later. Carla and I were married, and Barron was 4 and Harris was just a baby. Cypress Gardens had been sold, refurbished, upgraded with new rides and reopened as “Cypress Gardens Adventure Park.” My brother and his family went with us, so Barron had his cousin, Kalee, to go on the kiddie rides with. There are few pictures of the natural beauty, and almost none of Carla or me. We have dozens of images of Barron and Kalee, looking cherubic in their poses, but I don’t think we spent much time in the gardens. This time, Cypress Gardens had undergone the biggest transformation of all. Engulfed by the new Legoland identity, the gardens are still there but they are relegated to a corner of the park. We didn’t even go into the gardens during this visit. We were too busy admiring plastic brick creations, shuffling our boys between rides and taking in Lego-themed shows. Carla and I took turns pushing the stroller, which alternated carrying Carlton and our backpack. As my Facebook friends can attest, we have more than a hundred photos, only one of which has Carla and me together. I don’t think we held hands once the whole day. Life just isn’t about us anymore. With three kids, we spend our time, money and energy being parents and making memories for our family. It doesn’t even occur to us to think about what we want to see, ride or do during a day at a theme park. The Wallaces at Legoland on Island in the Sky, Carlton's favorite ride. In a way, Cypress Gardens and now Legoland is a door frame for us to put pencil marks on, measuring our relationship’s growth. Who knows when we’ll be back or what life-changing circumstance will have occurred before our next visit. I do know that if the boys have their way, it will be soon. Have you ever been to Cypress Gardens/Legoland? What was your experience like? Is there another place that helps you measure your life and growth? Share it with us! Leave a comment a below. 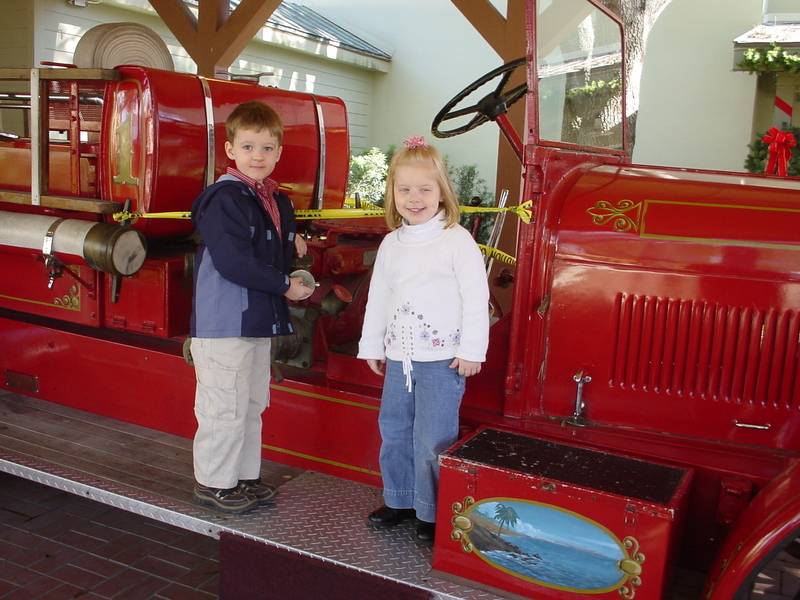 This entry was posted in Uncategorized and tagged Carlton, Cypress Gardens, Florida, Lake Eloise, Lake Wales, Lance Elliott Wallace, Lance Wallace, Lego, Legoland, Legoland Florida, New South, New South Essays, NewSouth, parenting, ski show, South, Southern, Southern Culture, Southern Living, Southerners, the South, travel, vacation. Bookmark the permalink. Bob and I visited Cypress Gardens back in the early 60’s when they still had their water show. 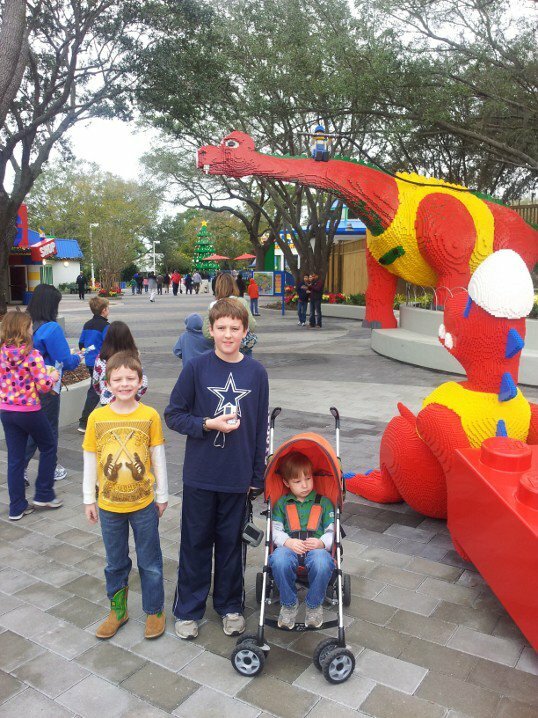 We had a great time there, but I’m sure Legoland was an amazing experience for your boys!